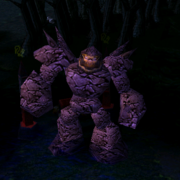 Dota 6.71b Map has been now released by IceFrog. This a fix patch which addresses only two bugs, a major Dota 6.71 bug with Zeus Thundergod's Wrath and some other Pudge Flesh heap bug. For the time being, this is a rapid bug fix map, there may be a DotA 6.71c/d map in the near future. After downloading, extract the rar file in your Warcraft 3 maps folder. Keep visiting DotA-Utilities for more updates! what was the bug with Pudge's flesh heap??? Fixed Bloodseeker's heal from killed towers. Fixed Bloodseeker's heal from dying Meepo's clones. whats the bug with pudge? @9:13 thats not a bug . since it will make the hero "in the other world" like obsi's astral . Noob question: why don`t i have AI players? i select allies and enemies on insane, but i`m still alone. where is the 6.69 ai? skip? thnx icefrog keep up the GOOD WORK!!! Make silencer's ms 300 at least in the next map. He must be able to run, and chase end game. I hope DOTA is FOREVER! what's the bug with pudge,.? did anyone notice the bug with Omninight ??? hahaha 6v6 awewwwwwwww!!!! nice updating first blOod!!! how to download a ver. 6.71b? these two items alone will give a +6 to PROPHET's damage but i wonder, my damage is +12. is it bug? coz PROPHET's main attribute is INT.